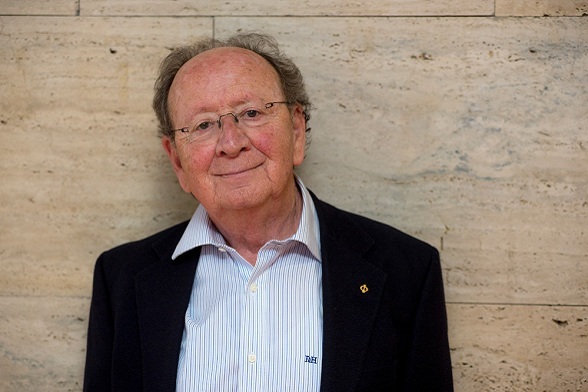 I tell Joan-Francesc Mira that the 2017 “Barcelona Debate”, “Old Europe, New Utopias” discusses, among other matters, whether there is a relationship between the ageing of the European population and the ageing of the European project. He gives me a severe look and says that the correlation might work intuitively but, on paper, it’s not so clear. We talk about identities, of clean people and people who defile, of cities that triumph and fail, of Napoleon, Adenauer and the feats and villainy of Mitterrand. AP: Lyon, Avignon, Ravenna and Montpellier, the cities you mentioned in your lecture “Dante and Llull: Cultures, Languages and Worlds”, citing them as important urban centres in the lives of these two thinkers, now play no role in Europe. Do the political splendour and cultural splendour of cities go together? Joan Francesc Mira: On the one hand, they do. In the thirteenth and fourteenth centuries, London was only relatively important on the European scale, and more in dynastic than economic or cultural terms. Hamburg, Amsterdam and Vienna didn’t have the importance they would later attain. 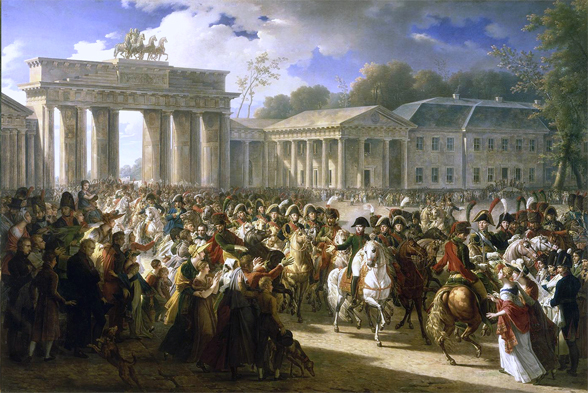 Berlin, needless to say, only began to figure towards the end of the eighteenth century. Munich was something else. So was Prague. The more you move down, the more important the urban centres were. Milan began its rise with that of the Visconti family. Venice, yes, was important in every domain, especially in trade with the East. And Florence was a great centre of finance. The European cities of the north didn’t yet have the power they would acquire after the industrial revolution. But, on the other hand, I also cited Paris, which was an extremely important centre in the ninth and tenth centuries. The French dynasty wielded so much power that it even began to overshadow the papacy. 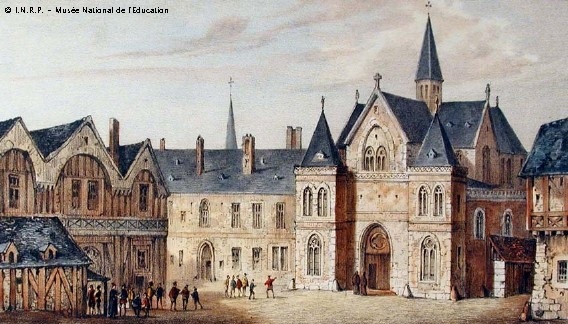 Moreover, with its university, Paris was a great centre of philosophical and theological authority. You need to remember that neither Llull nor Dante thought in global terms, as we do now. For Dante, Naples was something remote. His itinerary took him to Rome, which was important but, demographically speaking, it only had 30,000 inhabitants. Valencia, by the time the Borjas arrived, already had twice as many inhabitants. So, the answer is yes and no. It’s not that the cities of Ramon Llull and Dante were very important, though they had a lot of autonomy in the political realm and this made them stand out with their intrigues, military pacts and trade agreements. But the active life of these cities isn’t the same as their real significance. AP: What kind of relations did these Mediterranean cities have? JFM: Conflict. The Mediterranean isn’t a zone of harmony. It’s a zone of conflict. It was only under the Roman Empire that there was unity among the Mediterranean peoples. The territorial unity came to an end with the barbarian invasions and the expansion of Islam with its religious unity. We are still living in a duality, with a south—North Africa and the Middle East —of Semitic, Islamised origins, and a European, Christian north. But we need to be careful about Christian Europe. Recall that the Turks reached the gates of Vienna at the end of the seventeenth century and that Hungary, which is now part of Central Europe, belonged to the Turkish Empire for centuries. AP: There is no millenarian European Christian identity. JFM: Well, the Turks and the “Europeans” thought in terms of Christendom rather than Europe. Europe was then a geographical reference, as America was to become. Europe is an ideological product of the Enlightenment and romanticism and, above all, of the twentieth century when attempts were made to reinterpret history in terms of the identity of an old project that never existed. The old project which certainly was important was that resulting from the breakup of the Roman Empire. In the eastern Empire, where Constantine built the new capital in Constantinople—the ancient Byzantium which was later to become Istanbul—they still spoke Greek and had a Christianised Greek culture, which then became part of the Slavic world. This Greek Empire developed a kind of Caesaropapism, a structure in which civil authority—the Byzantine emperor—was also the religious authority. In the Western Empire there was no unified civil authority. This was only recovered with Charlemagne but then it fell apart again. JFM: An eastern Christendom and a western Christendom with totally different characteristics. It’s also explained by the evolution of cities, as you mentioned. In the east there were no urban communes in the style of Florence or Barcelona with, for example the community councils, autonomy, codes of law, statutes, regulated trade and universities. There were no medieval, Renaissance, Enlightenment or bourgeois universities in the eighteenth and nineteenth centuries. Although they were frequently ruled by a king, the autonomous Mediterranean communes were the forerunners of representative democracy. Or culturally speaking, Dante was a pre-humanist and was interested in the ancient Roman model, an ethical, ideological and aesthetic model which is independent from the Christian model. Here, there is an independence of thought and aesthetics vis-à-vis sacred doctrine, an autonomy which never existed in eastern Christianity. AP: And where does this western Christianity begin and end? JFM: Well, wherever there’s a gothic cathedral, there’s been this whole kind of western culture and society. Take, for example, the idea of studying law or medicine at the university. The university gives you a licence to teach, or it recognises you as a doctor or, in other words, it endows you with the capacity to establish doctrine. All of this represents a very specific mentality, kind of politics, artistic expressions and way of living extending from Finland to Venice, and including the Croatian coast (indeed, what is now Dubrovnik was the Republic of Ragusa in Italian culture). Putin is bringing about a revival of this difference between the two worlds and the Orthodox Church is recognising him as a kind of tsar, as the authority over the church. He is the great backer of universal reactionism. He finances Marine Le Pen, Hungarian reactionism, the adversaries of the European Union and the restoration of the monasteries on Mount Athos. He has reignited eastern hostility against Occidentalism. AP: Occidentalism is also a strange concept. For many centuries—and, in fact, it seems like a cyclical phenomenon—it was believed that there was a gulf between Latin and Anglo-Saxon cultures which was impossible to bridge. JFM: This has a real basis. In the beginning it was an ethnic contrast: Romans versus Germanic “barbarians”. But the peoples were slowly mixing and, by the Late Middle Ages, the division no longer mattered. But what happened is that there was a resurgence because the two peoples embarked on different forms of economic evolution. The people of the north began to prosper and modernise more quickly. There is a kind of mercantile capitalism that works better there because there is more economic freedom. In the protestant zone, in particular, the activation of an advanced urban culture was faster, with cleaner, tidier and better organised cities. And after the eighteenth century, this gave rise to different ways of life and forms of collective consciousness. Nevertheless, a citizen of Hamburg, or Rotterdam or London or Edinburgh will mistakenly still keep seeing us as a backward people. AP: And, despite these differences, there has been an attempt to construct a European identity. JFM: The first to try it was Napoleon but, naturally, not out of any ideological conviction regarding some kind of European culture. What he wanted was to give a historical or cultural veneer to his military empire. After him the Nazis tried it, mainly because of their opposition to the Soviet Union which, for them, represented Asian peoples. During the Second World War, this opposition you noted between north and south was superseded by an opposition between east and west. The idea of Europe as a political structure built by communal agreement between different peoples made its appearance after the Second World War. Since the eighteenth century with its Thirty Years’ War, we have never stopped killing each other. Europe is sixty years old and it was designed to bring peace. AP: Also, maybe, so that its countries could play a role in the global world. JFM: No. You have to see it from within. In 1945, for the first time in two centuries, Germany was totally destroyed and occupied. Only then could it be submitted to a union which—or so the other countries believed—would lessen its power. In fact, the first attempt was the European Cole and Steel Community. Why? Because if you control the production and use of steel, you control the war industry. Without that control, you can’t deploy your own heavy weapons. Hence, this was the definitive proof of Germany’s good faith: steel production had to be submitted to the scrutiny of a supranational authority. Remember that in 1946 and 1947 the Germans lost more than a third of their territory. That means fourteen or fifteen million Germans expelled from what is now Poland or the Czech Republic or the Königsberg zone—which is now Russian—and subsequently taken in by East Germany. Now we are scandalised by the 400,000 Palestinians uprooted by the Arab-Israeli War of 1948, but the neighbouring Arab countries were never able to take them in. AP: Let’s go back to Germany’s weakness? Who benefits? JFM: Who indeed! The ones who joined the Union as a dominant power were the French who, despite the myth of the resistance and de Gaulle, had lost the war. By means of the Union, they tried to control the Germans and, moreover, gratify their craving for historic grandeur. The three great ideological and political fathers of the Union were Konrad Adenauer, Alcide De Gasperi and Robert Schuman, all three of them from borderlands, or of mixed origins, and all German speakers. By this I mean that Adenauer came from the most French-influenced part of Germany, De Gasperi was a northern Italian born in the old Austria-Hungary, and Schuman was a Frenchman of German origin. Forty years on, Helmut Kohl and François Mitterrand would represent the spiritual European reconciliation. Mitterrand was a great politician and also a great crook who protected French war criminals who had worked with the Nazis. But he was a great politician who was able to see that the time had come to consolidate the project. JFM: Well look, first of all, since the end of the communist era there has been an impressive resurrection of the Christian faith right across orthodox Europe. And not just in Putin’s Russia. Don’t forget that Tsipras is in power thanks to an ultra-nationalist, ultra-religious and ultra-Greek party supported by both the military and the church. In our Europe everything is more uncertain. I wouldn’t say that there is a revival of Catholic religious practice here. There’s a permanent need for some kind of religion but religion has been replaced by absurd esoteric beliefs. And there’s also a wave of evangelical Protestantism coming from South America and the United States. This is very reactionary, totally literal in its interpretation of the Bible, completely divorced from the original Protestantism, and increasingly visible. Then again, there are 45 million Muslims in Europe with beliefs akin to those of the most rigorous Christians centuries ago. And this has a potential for mobilisation that is lacking the values on which our democracies are founded, as is demonstrated by the way we have to confront jihadist attacks. I don’t know about the future, but this will be the linchpin. I don’t like having to say it. But that’s the way things are.